Edmund was part of the underlying ghost story. We used a combination of a leaf blower, a large amplifier, a bright worklight and some bricks and plasterboard to create effects for him. Edmund Northmoor had been walled up, still alive, by his brother. 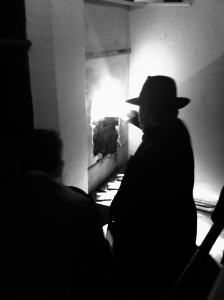 When the players finally discovered this and found the portion of wall he was behind, they had to pull away the bricks. As they did so, a loud roaring sound, bright light and rushing wind assailed them. 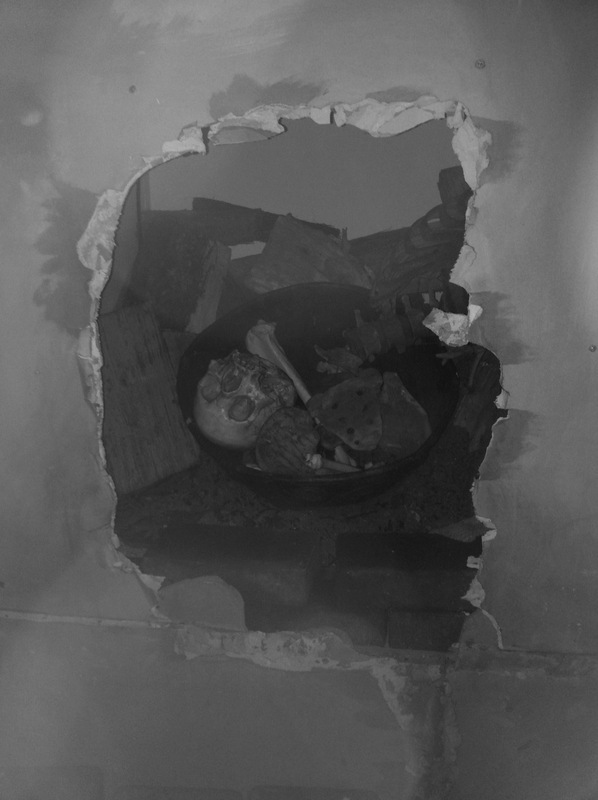 When it died down, they found a pile of old bones inside the wall. The art department built a false wall out of plasterboard with a hold in the middle, and built a brick wall behind it. Behind that we put a big amplifier, a leaf-blower and a bright worklight; we triggered all three with switches inside the room. The wall was painted to match the surrounding room. Then we simply pushed a table and a couple of boxes up against it, and no-one noticed it for the whole weekend. 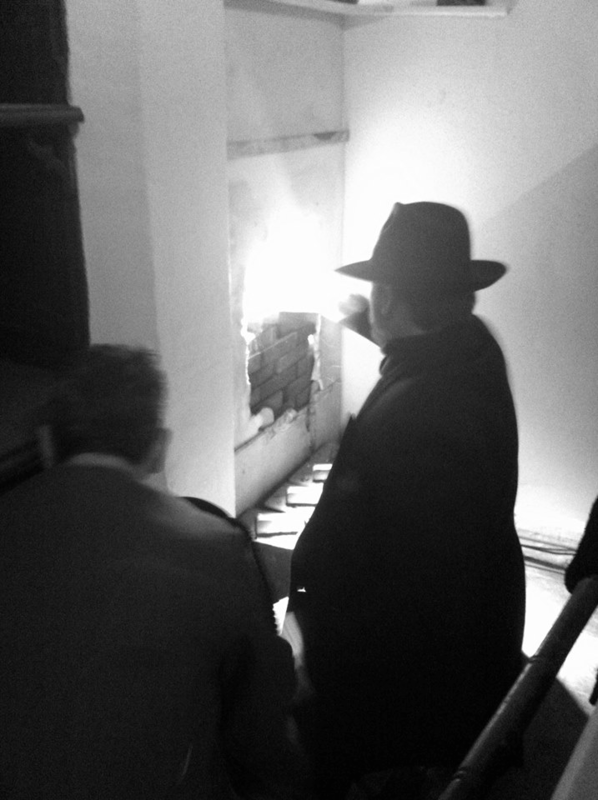 On our pre-event planning visit to the site we’d carefully picked where we were going to build our false wall – there was a massive, empty fireplace in the old kitchen of the house. This was perfect.When we arrived on site the day before the event to build the wall, we discovered that the owners of the house had decided to restore the kitchen, and had installed a lovely old-fashioned range in the hole we were going to use! The art department had to improvise and build it in a nearby space instead.